This type of lamp emits a fairly constant intensity of light, with a constant colour temperature. There is a halogen element (generally iodine/ quartz) included with the fill gas. After turning them off, it is advisable to let them cool down before moving them to help preserve them. The same as tungsten lamps, halogen lamps render a yellow light. 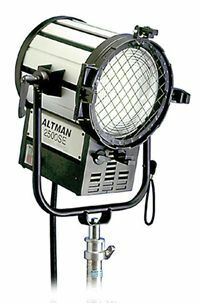 There are many types of lamps and they are used for photography, indoors illumination, and others. Shape of tube: the colour temperature is 3000 / 3400 K, they last from 100 to 2000 hours, 500 to 10000 watts. Bulb: the colour temperature is 3200 / 3400 K, and they last 15 hours. 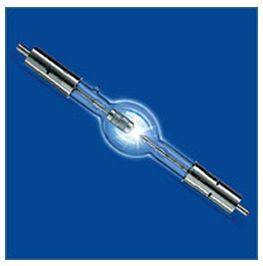 These lamps generate a radiation of different wave lengths, (always discontinuous), which will depend on the gas they use, the gas blend, their pressure and the connected voltage. 1. 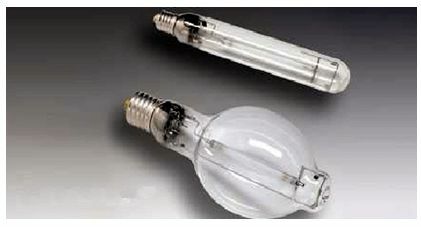 High pressure mercury lamps: ultraviolet region. They have a tube quartz burner in which a discharge of mercury gas takes place. 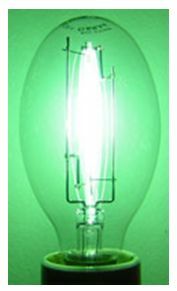 They are used at 220 V. They render a blue/green tone. Newer lamps are corrected to produce a whiter light. They are used to illuminate streets and buildings as well as gardens. It has been said that the United States will prohibit their use due to the potential harm of mercury. 2. Sodium vapour lamps: they irradiate an intense yellow, besides the UV. They are used as street lights and, if they are covered with an amber filter, like security lights in labs. Voltage: 220. They are difficult to filter. 3. High pressure xenon lights: they produce a spectrum similar to daylight and it is constant most of the time. There are two types: short arch, which are used for projectors, and long arch, which are used at airports, stadiums, copying equipment. The latter ones produce more light. 4. 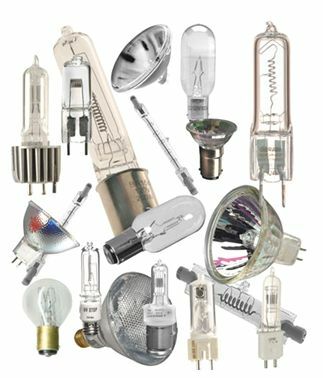 Metallogenic lamps: (HMI) they were developed mainly for colour television. They are use in reflectors and they last 600 hours. They need some time, after turning them on, to reach their full lighting capability. They produce lots of light. They are used in photography because they give out neutral and continuous light. They are expensive but they can be rented. 5. Fluorescent tubes: the glass tubes are filled with mercury gas (low pressure). A small part is visible, discontinuous light, the larger part is UV. They are difficult to filter. You need to run tests with filters to determine the right ones to use, generally, you will need to use a combination of filters. It is convenient to turn them on 10 minutes before testing and using them because during that time, they become brighter and they change colour. Manufacturing brands label the colour temperature in K degrees in their tubes. There are different types: white light, daylight, warm light, etc. Generally, they are used for indoors illumination. 6. Electronic flash: They are gas-discharge lamps (xenon) which imitate daylight as best as possible. To avoid the UV region (ultraviolet), they are used in two ways: a) a layer of golden resplendent filter is placed on the tubes (gold compensation), b) a protective cover of pirex glass (absorbs UV rays) is placed over the tube. The colour temperature of the flash is generally 5500K. As a result, they are widely used in photography. 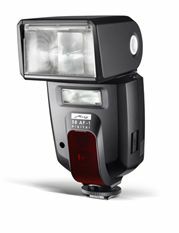 They emit plenty of light depending on the type and model of the flash.